You might be thinking that a chiropractor can only help you with your backaches, stiff necks, and slipped disks, and unfortunately, you’re not alone. Chiropractic care is based on the idea that the body and mind can heal itself with manual manipulations of the musculoskeletal system, especially the spine, getting your body to run properly, therefore taking care of some of the aliments that urk you. What sort of issues you ask? 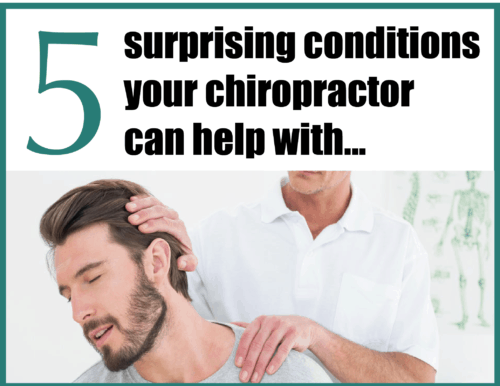 Here is a list of 5 surprising issues that your local Chiropractor in Brick, NJ can help with. 9 out of 10 Americans suffer from headaches. Some are just occasional, others are plagued wth this issue. Some headaches are dull, others cause distracting pain and nausea. It’s easy to reach for your medicine cabinet when this happens, but what if it’s 4 time a week? That’s 16 headaches a month. On average, the over the counter dosage for pain relieving medicine is 2 pills. So if our math is correct, that’s 32 pills a month, and potentially 384 pills a year. Math is usually an inconvenient truth, but still a truth. Most headaches are related to muscle tension in the neck. This has become a common issue amongst americans becuase we spend so much time sitting with poor posture in front of a computer, phone, or TV. So how can a chiropractor help? A chiropractor can perform adjustments to improve spinal function and alleviate the stress in the neck area. We go on in detail about headache relief in an earlier article. “a disorder characterized by widespread musculoskeletal pain accompanied by fatigue, sleep, memory and mood issues. Researchers believe that fibromyalgia amplifies painful sensations by affecting the way your brain processes pain signals”. So since we now know that FM (Fibromyalgia) is a musculoskeletal condition associated with widespread pain, who better to help than a chiropractor. So how can we help? Chiropractors are trained neuromusculoskeletal specialists, and focus their efforts on making a positive impact on your nervous system. Through chiropractic adjustments, you can improve the overall state of your nervous system, giving a FM patient a better chance of less pain and recovery. These same nerves can be irritated when your spine is out of line. With regular chiropractic adjustments, you can alleviate most of these digestion issues. Your carpal tunnel is a narrow passageway located in the wrist. This “tunnel” enables the median nerve to travel from the spine to the hand. Any swelling of the carpal tunnel can cause pressure on the median nerve, resulting in limited feeling and movement to portions of the hand, this is whats known as, carpal tunnel syndrome. Interestingly, women are three times more likely to be afflicted with CTS (carpal tunnel syndrome). It’s not totally clear as to why this is more prevalent in women, but experts believe that it’s due to a smaller carpal tunnel. How can a chiropractor help? We strongly recommend seeking a non-invasive solution to carpal tunnel syndrome. Remember, the median nerve that travels through the carpal tunnel, originates in the cervical spine. An experienced chiropractor can investigate this area of the spline to see if there are any vertebrae causing compression to the nerves. Your chiropractor may also apply gentle manipulation to the wrist, elbow and cervical spine to alleviate discomfort. Your sinuses are a connected system of hollow cavities located in the skull. These cavities are lined with mucus to filter air of dust, dirt, and pollutants from entering your lungs. Your chiropractor is especially trained to help you with this. He or she can help drain the sinuses with a cranial and upper cervical adjustment. Make sure you don’t have a sinus infection, which would require a visit to the doctor and antibiotics. Most people are just suffering from sinus pressure and can experience relief with a mucus draining adjustment. When you’re young it’s easy to take your flexibility and range of motion for granted. Just the wear and tear of life can start to affect the way we move. If you have acquired any injuries along the way, this will make it even harder to remain flexible and active. This is a classic “use it or loose it” theory. Many Americans wake up in the morning, sit in a car to get to a job, to sit in front of a computer, just to drive home and sit in front of a TV until they return to bed. We have to find time to be active if you want to preserve your quality of life. So in addition to exercise and a healthy diet, your local chiropractor can perform adjustments to the body to realign the bones and joints to reduce pain and restore motion. If you walk away from this article with one thing, it’s this… Your chiropractor can help with more than just back and neck pain. 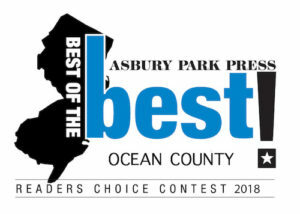 At the Back and Neck Center of Brick, LLC, we have treated countless patients with conditions mentioned in this article. Many of them had tried everything else, but in the end, it was their chiropractor that was able to help. Prev Previous post: Do I have a gluten intolerance?